A list of all US Bases and fire-bases is located on the left side of the page. Clicking on the name will then highlight the location on the map. You can then enlarge the selection to it in great detail. 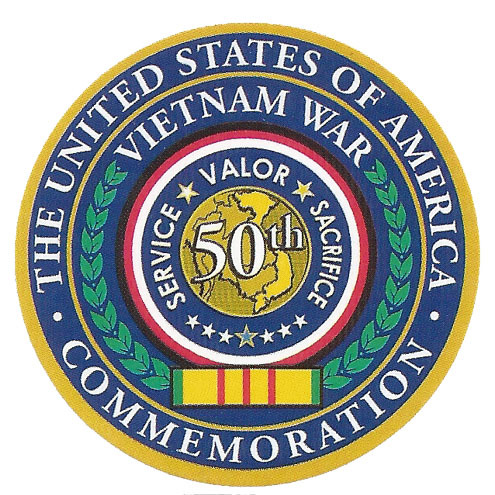 How many times have you wanted to be able to show your friends and relatives Where you served in Vietnam? Please note, this map may not have all US positions. It is the most complete map we have found. Thank you for your comments. We discovered the same problem, unfortunately we are not the author of this map and have notified the originator of the problem. Our desire was for the Vietnam veteran to be able to look on the map, and then be able to magnify the location and see what it looks like today. This is a program from Google and they are working on updating the Navy program. I find 2 places not on the map, NSAD Cua Viet and Marine Camp Carroll (sp). Both at the mouth of the Cua Viet River. Thanks for the info. Just nice to be recognized after all this time. I was on the USS Buchanan DDG 14 and we were there in 1963 thru 1965. Spent many month on Tonkin during life guard and support. Yes I know.. Google supplied us with the information and they are working on more data… I was in Vietnam in 1968 with the First Inf. Div. and if you go to my WAR Facts you will see two USN CAPT. Names that did all the research and I posted that information over 15 years ago! I like the Navy But… Spent four years at Sea with the USCG and stayed sea sick most of the time.. That is why I went into the US Army.. BTW I am a NEXCOM vendor and will do everything I can to help out… Welcome Home! Looked at map Thanks. Didn’t look like a sprawling community when I was there. I was at plain of reeds a large body of water with reeds on surface. It was deep and cold when I jumped from the chopper and went under water. Fsb doc michelline rubber. And also fab Lorraine. Top of atlas wedge. Anyone been to hobo woods ? 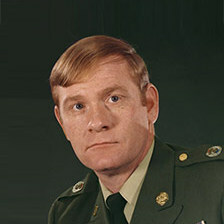 I served in the Hobo Woods in early 67 on operation Junction City I & II. Feb & March 67 I believe. I was with the 196th Light Infantry Brigade D/2/1 2nd platoon 1st squad. Arrive in RSVN around Dec. 20, 1966. I could not find Camp Kistler (Cua Viet), Charlie 4 or Oceanview. Would be nice if the list was in alphabetical order. These were Marine bases. Thanks for your service. First visit to hobo woods . I was on point bravo co Lima plt. I walked up small trail The trees didn’t look right Like they had been cut back. I realized I was in a fire lane. I looked at a dark spot just ahead. I realized I was looking at the fire slot in an nva bunker. It was so low to the ground it was difficult to make out. But I looked down and was barely on a punji pit. Most of my weight was on solid ground but looking through the bamboo and leaf covering the pit. I turned and ran back to platoon and warned them to turn and get out of the fire lane. We all ran back ang got out. Someone in a loach was above and barked on the radio. If Lima can’t do the job mike plt can. They went in from another direction. They must have walked up another fire lane bunker set up seven men were Kia just thirty yards from us. E-5 Keith A. Sheets 7-march-68 thru 13-april-69. P I O office combat photographer Big Red One. Was in a lot of the areas especialy Rubber plantation, was an honor and prividlige to have served with you. 1st Bn 12th artillery, Tay Nin neat Black Virgin Mountain. I found no mention of the 199 Light Infantry Brigade? This map provides locations of US facilities at basecamps, firebases and airfields, not specific units. Our desire was for the Vietnam veteran to be able to look on the map, and then be able to magnify the specific location and see what it looks like today. I was with he signal detatchment next to th 5th Special & ARVN. We shared the site with SATCOM (see radome) this was Jan 67-May 67 and then we moved south to Dong Ba Thin just nort of 10th Aviation near Cam Rahn. We had 2-10KW & 1-40KW Doule Side Band transmitter with crypto traffic to Subic Bay & Clark AFB. thanks for the comment Lou. Welcome Home! We do not have any additional information other than what was presented on the map. We are not the authors of the map and have notified them of several missing locations that have been brought to our attention. Hotel Company and H&S Company, Second Battalion, 4th Marines from 1st Marine Brigade, 3rd Marine Division at K-Bay Hawaii. Entered SVN at Chu Lai about 45-miles South of DaNang. Our entire Battalion (and the Marines from 1/4) arrived 07 May 1965 and set up a temp CP in the village of An Tan at the An Tan River. The Sea-Bees entered a short time later and they did the impossible by creating an operational runway in less then 30-days. I was with the 1st Inf. Div. at Lai Khe 1968 20 years ago I put up a web site to help fellow Vietnam Vets.. This site over the years I feel has helped a lot of Families and Vietnam Veterans.. With that said I have printed a fast read Book and have given out over 100,000 copies free … This is our 9th re print plus we also offer a Free PDF Just my way of paying back!..Jim I like thousands have Agent Orange, Letter on File but have managed to make to 75 years of age with the help of God will be around for years to come. If you have the time visit http://www.sgthack.com We have over one million visits per month plus schools… The site is not Political just sharing some information and pictures. FYI.. I had two Brothers that were in the USMC during the Korean War 1952 1st Air Wing… There were four of us Boys.. Now there are only Two…Welcome Home Jim and if I ever get a request about a Map where they used Agent Orange I will pass on your name… Last year I lost my Best Friend from Vietnam Jack Bedix due to Agent Orange! As for me I have a blood problem But like I said still around to do what I can when I can. Hello Hack— Thanks for the reply. I was part of the original settlement of the Agent-O lawsuit. On a different note, I tried to use the interactive map for different places/sights in VN but that AOL thing will not send me a 6-digit code to enter for access. I’ve tried 3 different cellphone numbers here but none of them received a text with the number. Sgt Hack has tried to email you twice at marine-2-4@comcast.net and it has bounced back as undeliverable. Please email him direct at info@uswings.com. I served as a Medic at Duster Compound HHB 5TH BN (AWSP ) 2ND ARTY Vietnam. I want to Know the location of 4 TH BN 2ND ARTY Vietnam from November of 1967 to January 1969. Too I want to locate Duster Compound on a map of Vietnam for the years 1967 to 1969 and to know the name of the Vietnamese village at the north side of Duster Compound. Thank you for your comments. We discovered the same problem, that not every location is shown. Unfortunately we are not the author of this map and have notified the originator of the problem. Our desire was for the Vietnam veteran to be able to look on the map, and then be able to magnify the location and see what it looks like today.